Event celebrating coincidental breakdown of main computer hard disk,DSLR, and High End digital camera~! So I picked up an altemative digital camera. Sometimes this one is useful. Various information of make-ups and reviews on them were in that Hard disk. I removed some precious images that went through backup. What do you say about pictures taken by my digital camera? 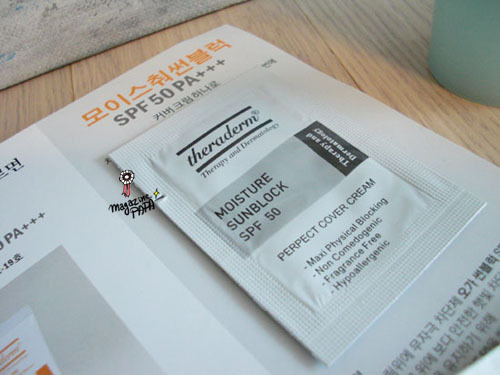 This one is a sunscreen which I described as a Must-Have Items. There's not a great use of sample-testing. 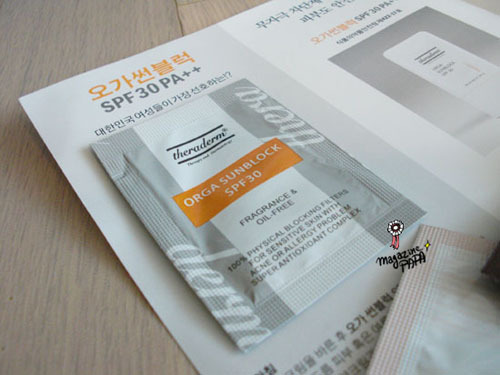 Theradom Orga Sunblock SPF30 PA+++ sunblock, checking the reviews might be enough. This one is not Theradom Moisure Sunblock Organic...SPF number is 50. This one has cover cream effect of brightening the skin tone. It's similar to BB cream. - Red ginseng water clean scalp cleanser. 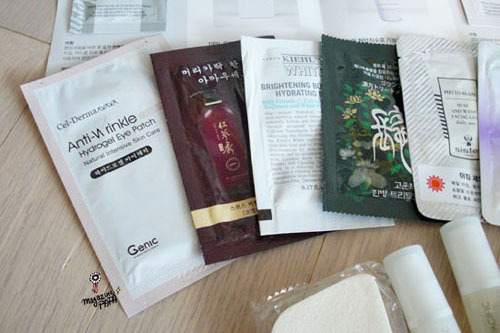 - Kiehl's White Brightening Botanical Hydrating Mask. 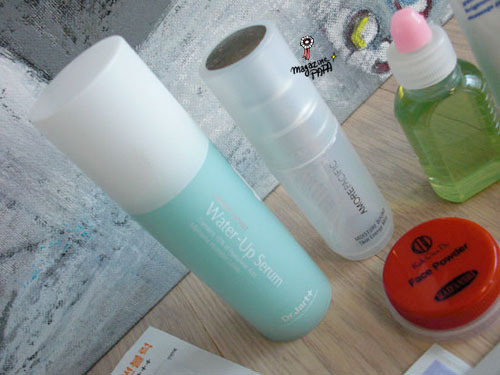 - Hera Creamy cleansing foam. 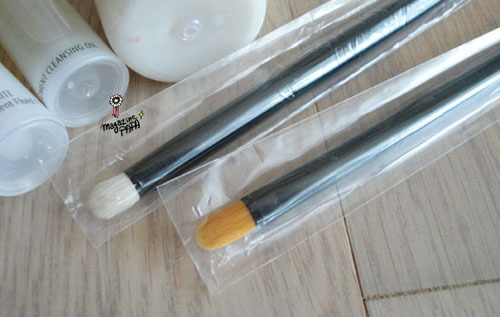 - Piccasso Brush 501 : available for applying lip products or concelar. - Dr.Jart Most Moist Water up Serum 30ml : It's a moisture essence. I threw away the case and the instructions. : I hesitated to send it because it became so scare. But I made up a determination to give it up. My brothers used it up and I washed it carefully. It's portable and is sprays well. : This one is the one I promised to share in my blog. It's sometimes useful to get it free. Myself got it as a gift from a friend of mine. 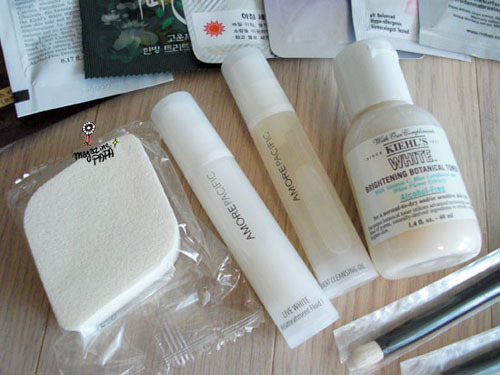 It's more than sample that Shu Uemura gives. 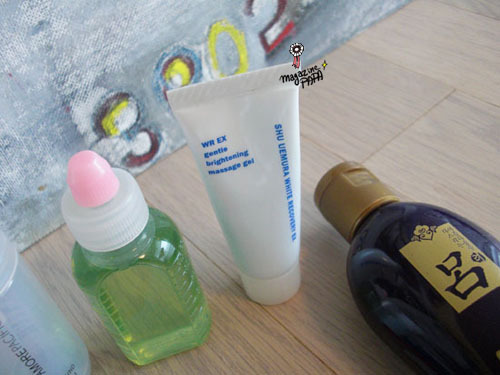 The posted picture is for estimating the size of Mist sample box and cleansing oil. Sample Requesting is available only for 24 hours from the posting, through replies. 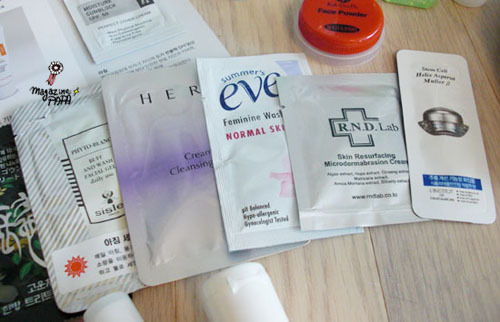 The skin type won't matter unless you have bad-oily skin. 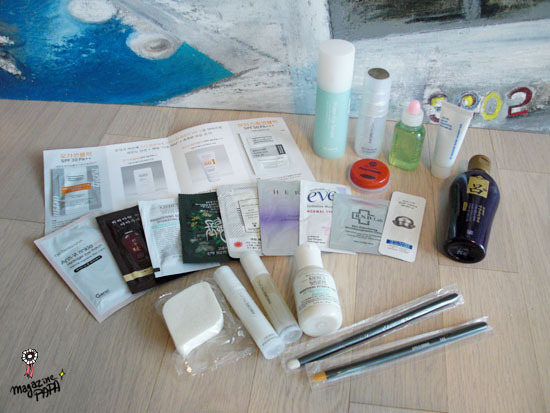 This share includes some cleansing-related products selling in department stores. In my opinion, it would be good if people who don't use department store's goods due to its price win it. Experience is a valuable one ♬. It seems there are some misunderstandings...the winner is only one. Please don't write address or phone number on the replies. I'll take them through bulletin board after the announcement. Don't be frustrated even in case you don't win it. Soon! ASAP! I'll hold the event once again. I have finished the setting already. Lavender Colot (pastel tone) nail recommendation!